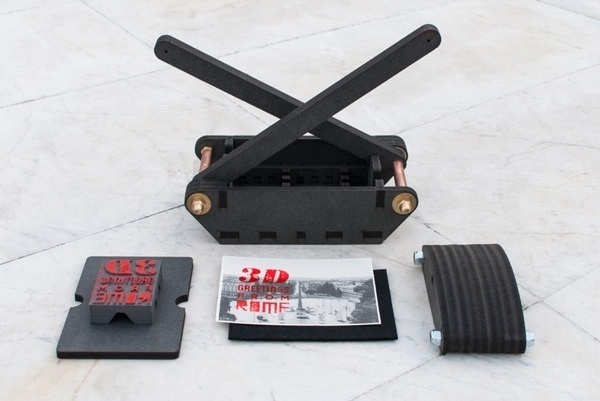 stampomatica 3D printed letterpress machines #3DThursday #3DPrinting « Adafruit Industries – Makers, hackers, artists, designers and engineers! at the intersection of antique and innovation is the duo of stampomatica analog printing machines: devices which rediscover the charm of traditional printing techniques, while using cutting-edge 3D printing technology for their manufacture. 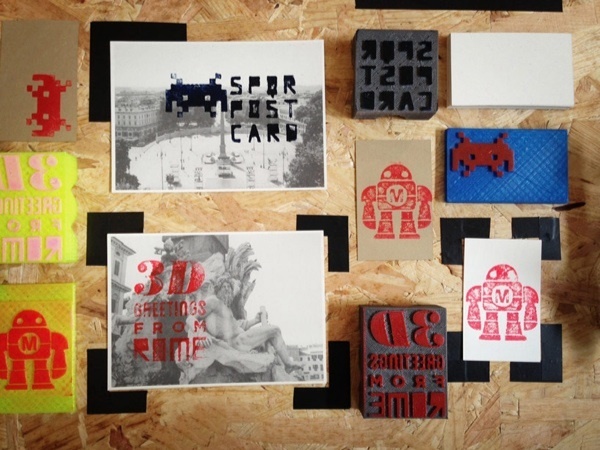 during the maker faire rome 2013, tecnificio and lino’s type have presented the two letterpress models: one which can print designs on business cards, and the second which creates graphics for postcards, invitations, or announcements. individual customization allows users to choose the printing plate’s image, the color of the material and ink, and accessories. 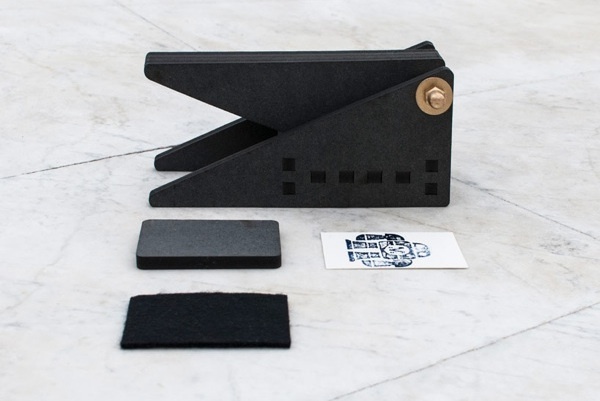 the small-scale, portable mechanisms work with simple levers and clamps to stamp the desired graphic onto the page, joining the movable type method with the DIY approach….